Exercise is one of the most under appreciated treatments for osteoporosis. Study after study show how exercise not only helps to build bone, but also strengthens muscles and improves balance. It is well known that the loading and stressing of bone that occurs when performing impact exercise increases bone mineral density and strength. Exercises like jogging/running, jumping, court sports, hiking, stair climbing place a mechanical force through the bones which in turn encourages the production of new bone cells. Unfortunately, many women with osteoporosis can’t perform impact exercise because of arthritis or injury to the joints, so they rely on walking as their main form of exercise. Despite the benefits of regular walking on aerobic fitness, weight loss and heart health, simply walking 30 minutes a day is not enough to optimize bone health. However, wearing a weighted vest while walking can gently increase the load on the bones enhancing the bone building benefits of this exercise. Wearing a weighted vest during exercise not only stimulates bone formation but also aids in improving lean muscle mass as well as balance. A study published in the journal Rheumatology International, found walking 30 minutes, 3 times a week wearing a weighted vest simulated bone synthesis, increased lean tissue mass and improved dynamic balance in post-menopausal women with osteoporosis. 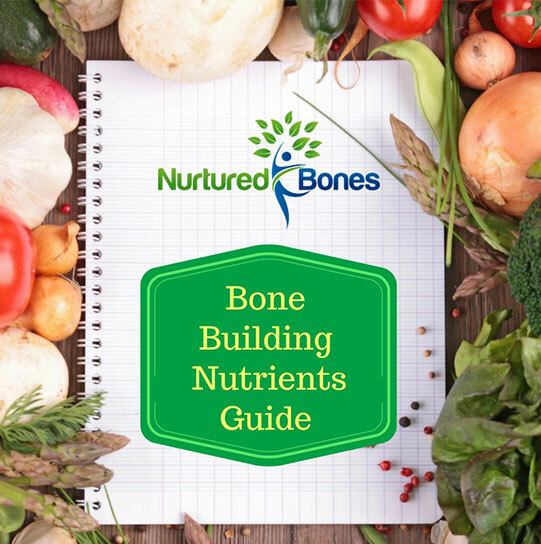 Obviously new bone synthesis is important, but of equal importance is maintaining and building muscle mass and improving balance. In the end, the goal is to prevent fractures, and to do so, we need strong core and leg muscles and good balance. For years I have been researching weight vests to find a vest that is comfortable and fits the female frame. Many vests are too large and bulky and don’t fit snugly to the smaller frame of a woman. Below are things to look for in a weight vest and my favorite brands that fit the criteria of a safe and effective vest. The vest should fit snugly. If it is too loose, it will move around while exercising and throw off your balance or possibly cause injury. Get a variable weight vest, one that you can gradually add weight to. If you start off with a vest with a fixed amount of weight, most likely it will be too heavy at first and could flare-up an old injury or create a new one. Choose a vest which you can add enough weight to equal 5 to 10% of your body weight. Make sure the weights can be distributed evenly around all sides of the vest so there is even loading. I prefer the vests that have a comfortable abdominal strap which transfers weight from the shoulders to the trunk. Start off with 1 pound of weight evenly distributed in the front and back of the vest. Although some people do start by wearing the weighted vests around the home, improvement in muscle strength and bone health can only be accomplished when the vest is worn during physical activity. Don’t let a diagnosis of osteoporosis leave you feeling frail and fearful of doing anything that might result in a broken bone. Exercise is your best remedy! A weekly regimen of impact exercise can reduce bone loss, increase muscle strength and improve balance, and protect you from the harmful effects of osteoporosis. Wearing a weight vest during exercise can provide even more benefit! 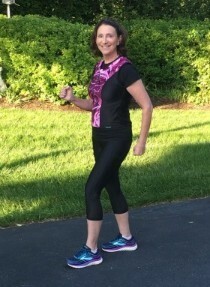 This is my favorite weight vest that fits ALL the criteria above…..and adds a bit of style to your walk or workout! Because the weights are thin and flexible, the vest is sleek and doesn’t add bulk to the body…..another bonus! It comes in 3 different sizes as well as 3 different colors/patterns. The vest comes with 4 pounds of weight, but you can purchase more when needed. https://challengeweightedworkoutwear.com/ . Put in the discount code NB and you will receive $5 off at check out. Contact me at 703-738-4230 for further information on how a weighted vest can boost your bone building exercise program, or for any questions you may have on overcoming osteoporosis naturally!